Marc Brandes brings years of experience as the in-house corporate attorney for one of the most successful private automobile dealership groups in the country to bear for the clients of Kurkin Forehand Brandes. He has represented auto dealerships in disputes with manufacturers, regulatory agencies, consumers, lenders, and has worked closely with clients in the buying or selling of automobile dealerships and the establishment or termination of franchise agreements. Brandes' automotive law work on behalf of auto dealerships has also included the drafting of dealership documents and contracts for sales, leases and financing. He has also developed and implemented employment policies and provided training on employment matters, finance, insurance and the handling of service and warranty claims. Brandes is a member of the National Association of Dealer Counsel and provides significant assistance to the Florida Automobile Dealer’s Association. Marc Brandes also has a great deal of litigation experience in state and federal courts. He has counseled and represented clients in disputes with the Florida Department of Highway Safety and Motor Vehicles and the office of the Florida Attorney General. Marc also serves on the Board of Directors of the Daniel D. Cantor Senior Center. 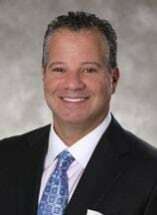 He earned a bachelor’s degree from George Washington University in 1986 and a Juris Doctorate from Ohio Northern University School of Law in 1990.